SUDRABA NAMS, the jewellery manufacturer was established in 1997. Gradually expanding the activity, in 2007 was established SIA SUDRABA NAMS. Now in our company are working 10 experienced jewellery specialists, and we are really proud to be one of the biggest gold and silver jewellery manufacturers in Latvia! For 9 years we are successfully working our shop in Riga, on Matīsa street 52a. It is possible to acquire or order any of our manufactured 1000 jewellery models, and other jewellery models, that are chosen with an attentive expert eye in Germany, Italy and Poland.The assortment is updated regularly with new jewellery models, and now we can proudly announce, that in our jewellery shop silver department we offer approximately 800 different rings, 600 different earrings , 450 different pendants, as well as 200 different chains and bracelets. 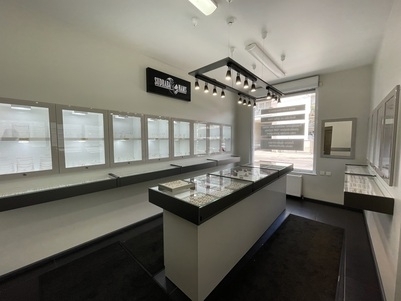 And gold department to delight our clients with high quality jewellery for untypically low price! Every year more and more clients are evaluating the opportunity to order some of our 800 ring or 200 pendant models in gold and silver, created in our manufacture! 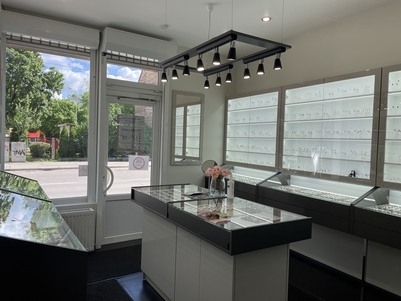 Thanks to this excellent opportunity, you can acquire jewellery in the appropriate size, that you really like, not only one of those, which at the moment are available in the shop! And while wearing this jewellery every day, it will be pleasant for you to realize, that it is created here in Latvia, not imported! Although we are using modern technology, when we are manufacturing jewellery, the greatest part of the job is done by skilful masters’ hands, thus creating a high quality product. Every product is carefully soldered and polished, and before it is presented in the shop, it is checked twice for quality. At the moment we can proudly assure, that the quality of our manufactured silver jewellery is even higher than for manufactures that are producing gold jewellery. (Please note, that raw material price for gold is approximately forty times higher than price of silver). 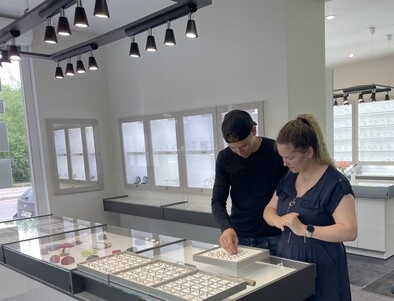 Thanks to these high quality demands and regularly changing and growing jewellery offer, we have acquired hundreds of regular clients among private persons, companies and school graduates.